The Derry Arts Council hosted a Gala at the Derry Opera House in conjunction with the Founders Weekend, to celebrate the anniversary and the Scots Irish Culture of our first settlers. Participants were welcomed to the event with bagpipes outside and Irish music inside. It was sponsored by the Northern Ireland Bureau, and the Ulster Scots Agency. Irish step dancers from the McGonagle School entertained the crowd. Heather Wilkinson Rojo, "Nutfield Gala! 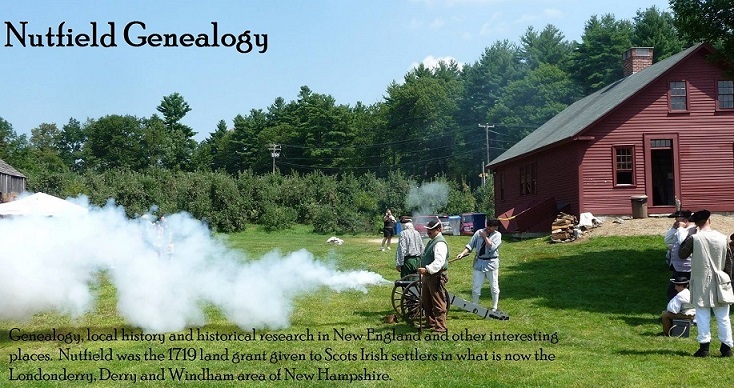 Celebrating our 300th Anniversary", Nutfield Genealogy, posted April 14, 2019, ( https://nutfieldgenealogy.blogspot.com/2019/04/nutfield-gala-celebrating-our-300th.html: accessed [access date]).